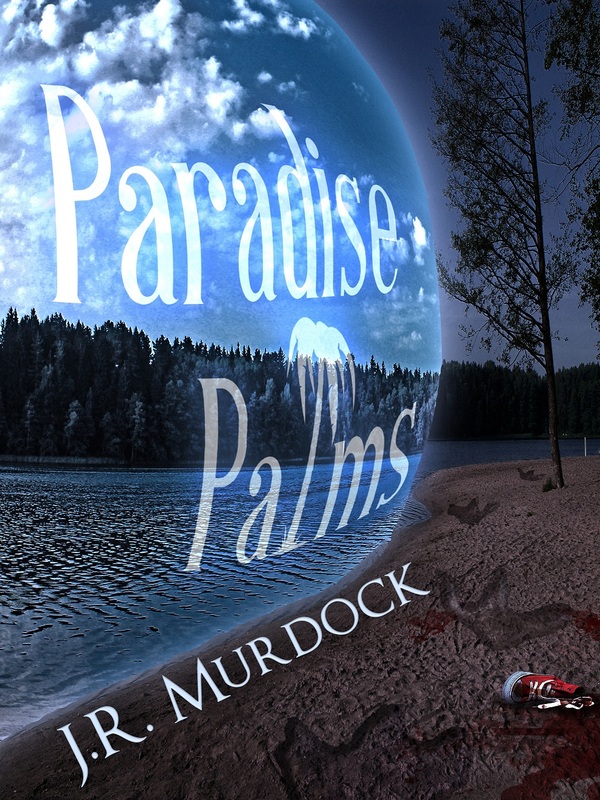 A Murder Mystery in a Time-Traveling Trailer Park. Lin turned up the speakers so L7 would be good and loud. She screamed along with Gas Chamber while Tiger Lily finished the coding of the trap. When the person trying to get into their system connected, the trap would feedback and force a lock. Only a physical disconnection would allow the person to get away from their detection. Once established, they could find out everything they needed to know about their mystery visitor. “No.” In fact, Lin had almost forgotten about them. They were in the basement still packed in the original packages. She’d ordered them online and hadn’t installed as many as she could since nothing happened and she didn’t think anything interesting ever would. She was thankful she had installed the ones she did. “Perfect. It’s closer, so that’ll give us a better view behind the bar. Just set up the tripod camera and we’ll be good, then.” Tiger Lily winked at Lin and wrinkled her nose. Lin went to the kitchen and opened the door Sam had installed to go down into the basement. Even with the lights on it looked like a dungeon, and the sound of humming servers didn’t make it any more inviting. Every chance she had she avoided going into the basement, which was pretty much all the time. She only went down there to put something into storage or to get something out. It was intended as long-term storage, after all. She grabbed the broom sitting at the top of the stairs and waved it all along. Just because she couldn’t see the spider webs didn’t mean they weren’t there. She hated bugs. The small room at the foot of the stairs held her personal storage. She didn’t need much. The last time she’d been in the basement was to put the extra cameras away. The water-tight, clean-room environment for the servers was sealed away in the dark. Only the generator was visible in the light from the storage room. Lin grabbed the tripod camera and hurried back up the stairs. Tearing open the package to retrieve the installation CD, Lin returned to the bedroom and handed it to Tiger Lily. “The box says it’s a wireless camera, so we won’t need to run a cable to it. I just need to plug it in,” Lin told Tiger Lily. “That’s probably a good idea.” Lin thought. She didn’t have a ladder to get on the roof. She’d always gotten Sam or Casper when she needed anything like that. Lin removed the camera from the box and they headed outside. The sun was high in the sky. It wasn’t even noon yet but Lin already felt tired. They’d had a long day already with the driving and coding. She looked up the road when the sound of a loud motor cycle or something worked its way up the drive. Girlfriend drove Sam’s quad, towing a trailer, and a woman Lin didn’t recognize sitting behind her. “Her name is Girlfriend Sokolov. She’s really nice.” Lin waved for her to stop. She’d be driving up to Sam’s trailer just up the drive and on the opposite side. Girlfriend pulled up to a stop in front of Lin and Tiger Lily. “Hi Lin.” She sounded tired. Lin noticed Sam in the trailer. “What happened?” Lin rushed over to see what had happened to Sam. She didn’t see any blood, but that didn’t mean something bad hadn’t happened. “Not that hard,” the woman sitting behind Girlfriend said. Lin asked, “Do I know you?” The woman looked vaguely familiar. Lin recognized the woman from across the street with the detective. They’d been around with Sam, asking him questions. Was she a cop or a detective too? Lin didn’t want to ask. Girlfriend looked back at Sam and then at a paper she had in her hand. It had a semi-circle on it and a map of the trailer park. Lin didn’t get a good enough look at it to tell what it really showed. Myra held a map also, only a slightly different map. “Should I show her the pictures?” Myra asked Girlfriend. “No!” Girlfriend nearly shrieked as Myra asked her question. Lin wondered if Girlfriend’s evasiveness was to protect Sam somehow. “Does this have anything to do with the strange things that are happening?” Lin asked. “Yes,” Myra said at the same time. Lin looked between the two women. It didn’t make any sense. What could they be hiding and just how much did Lin have to say? She didn’t want to tell them everything about what they knew, but at the same time she didn’t want Girlfriend to drive off without telling them something. Girlfriend kicked the quad into gear and rode back to Sam’s trailer. Lin and Tiger Lily stepped back to the side of the trailer and watched. “You know, I think we need that other camera and I think I know where we need it pointing,” said Tiger Lily. Lin looked at the rungs leading up the back of the trailer and then at the tripod camera in her hand. She was just glad that Girlfriend or Myra hadn’t asked about them. She’d hate to have to explain to them about the cameras and what they’d seen as well as what they suspected about Doc Brenner. She knew that Girlfriend was Doc’s cleaning lady and didn’t know what her relationship with the man entailed. Perhaps she’d find out later if she actually told Sam to call her. Posted on August 18, 2013, in Paradise Palms. Bookmark the permalink. Leave a comment.